This is on my front door. I only have a tiny bit of Irish in me, but I love to hang wreaths and decorations on my door throughout the year so I celebrate holidays and seasons with the decorations. Nice decoration to celebrate the season. You must have an Irish heritage? Nice to celebrate the holidays. Great capture of your lucky shamrock...I gave each great niece and my great nephew St. Patrick's Day cards with a little green tucked inside :). Perfect for St Pat's Day. @seattlite Thank you Gloria, and that is such a sweet thing to do for your great niece and nephew. 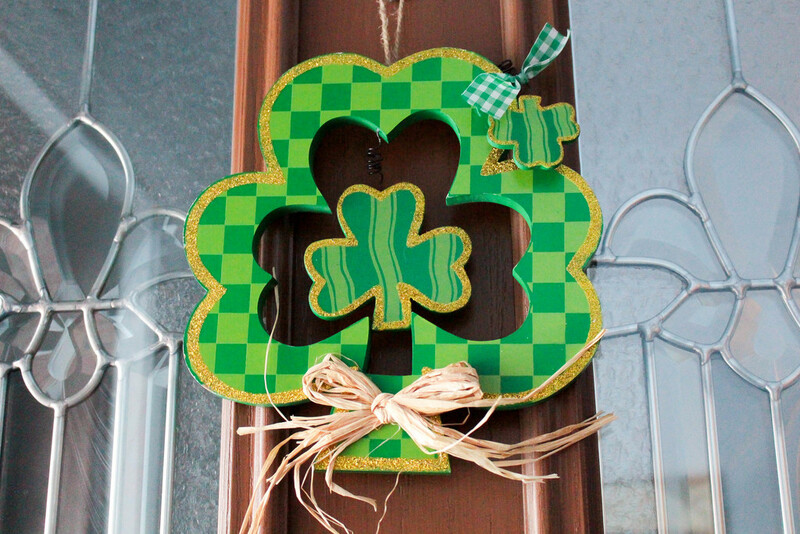 Make the most of your Irish heritage Marilyn , and this is a gorgeous shamrock decoration for your front door ! Looks a lovely entrance . Very festive! Jeff has a little bit of Irish in him too- and this is reminding me I have a decorative flag to put out! Lovely decoration on your door. There is a quarter in Floriana - just outside of Valletta which people call 'Tal-Irish' meaning of the Irish. I think there was an Irish regiment stationed in the area which has retained the name after so many years.